Wet and rainy one day. Sunny and balmy the next. Usually hot and always humid. Welcome to Florida, RNC visitors! Now that the threat of Tropical Storm Isaac is over for us and the Republican National Convention is underway, we can get back to helping you discover more about the Tampa Bay area other than its unpredictable weather. A half-dozen members of the Westboro Baptist Church held a short demonstration in downtown Tampa Tuesday. The Kansas group, known for protesting gay marriage and picketing funerals of American servicemen, drew the attention of a handful of media and curious passersby. 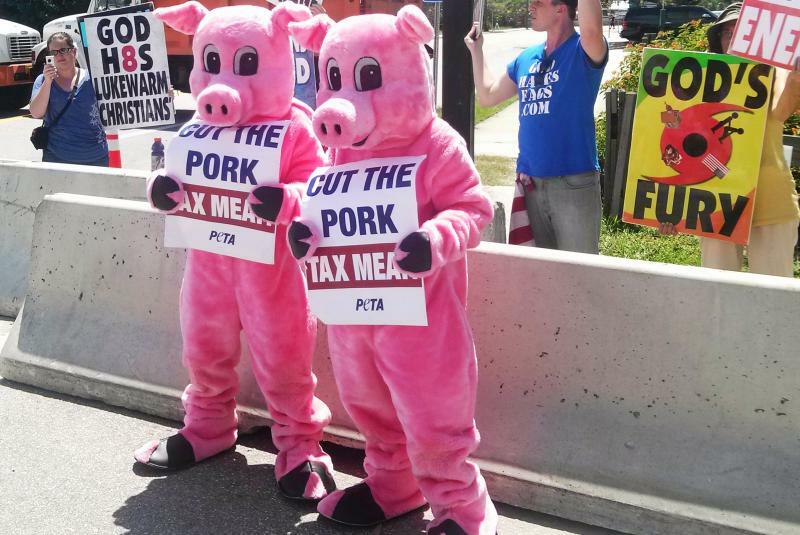 The protest activity in downtown Tampa surrounding the Republican National Convention remained sporadic - but spirited - Tuesday. A rally in support of the controversial Westboro Baptist Church quickly turned into a parade of anarchists. After the Westboro Church protest fizzled, the anarchists took over. A group of several dozen people, led by black-clad people with bandannas hiding their faces, left the official viewing area for a march through downtown. They faced row upon row of riot police adorned with plastic face shields, batons and body armor. 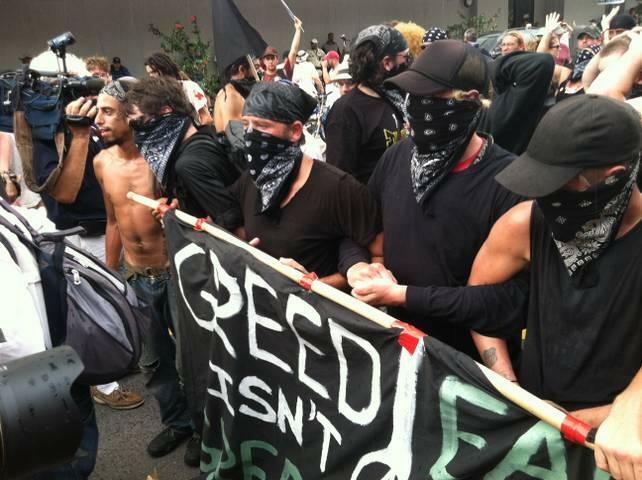 Some look threatening, wearing black and covering their faces with bandanas. Others march in pink dresses and high heels, fighting the war on women's rights. 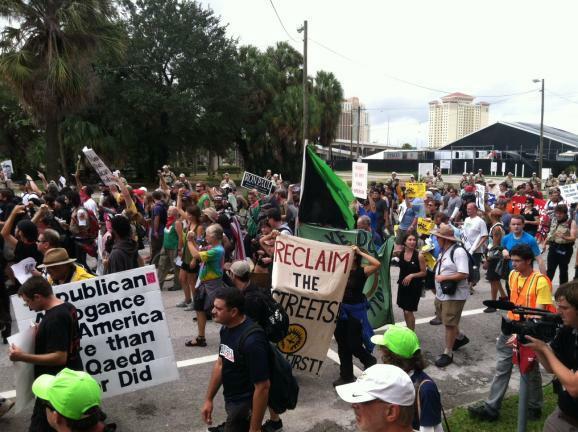 Their numbers may be smaller than anticipated thanks to bad weather and heightened security, but protesters from across the nation remain vigilant during the Republican National Convention in Tampa. They want their voices heard. WUSF reporters have spent the past week documenting these groups and their efforts. Here's a look at some of our work. A group of likely anarchists dressed in black tried to march without a permit through downtown Tampa late Monday afternoon. The protesters sat down in the intersection, chanted a slogan then turned and walked back to the protest zone. Florida Sen. Marco Rubio says America will have a different view of Mitt Romney by the time he accepts the Republican nomination for president. Rubio will introduce Romney on Thursday, the final night of the Republican National Convention. He may have provided a preview of his speech to a gathering of Florida delegates Tuesday. Warren Colazzo is in the business of beautiful people. As the co-owner of Thee Dollhouse gentlemen's club in Tampa, Colazzo is expecting some major business during the RNC. "If they're going to compare this to three or four super bowls, I just think people better be ready. It'll be very very busy." First, they were sent to a hotel an hour's drive away from the convention. And then, they were forgotten. At least that's how the Florida Delegation feels after the buses failed to show to pick them up earlier today. Delegates said it took almost three hours for the last of three buses to finally arrive around 2:30 p.m. Meanwhile, they sweated in 90-degree heat in a tent outside the Innisbrook Resort. They didn't go inside because they thought the bus might arrive at any moment. There may not have been much happening inside the Tampa Bay Times Forum on Monday, but plenty was happening outside. Protesters marched through downtown on approved - and unapproved - parade routes. Organizers for The Coalition to March on the RNC estimated 5,000 people would show up. Only 300 to 500 actually made it. 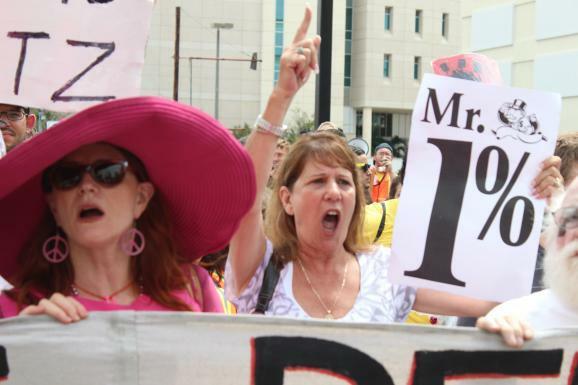 Bonnie O'Brien of Tampa was dressed in pink and sitting alone to the side of the rally. 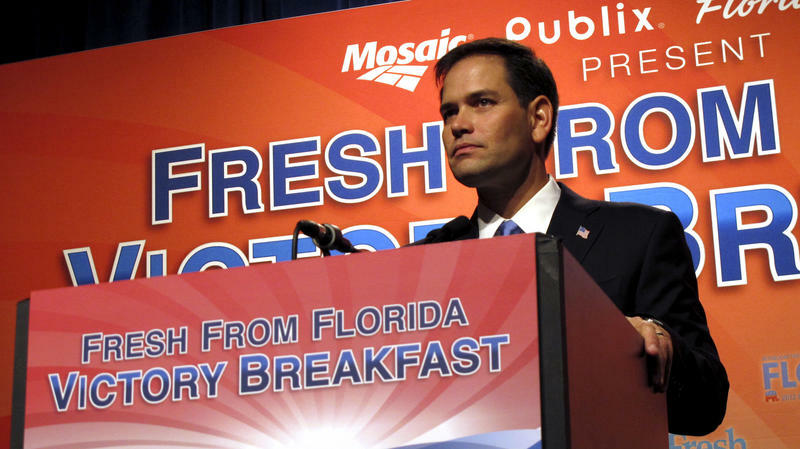 Marco Rubio was ambushed Tuesday as protesters crashed a Florida delegation breakfast during his speech. At least eight people were removed from the Innisbrook Resort in Palm Harbor, where the Florida Republican National Convention delegation is staying. A Pinellas County sheriff’s deputy said the protesters were only being warned for trespassing, but would be arrested if they returned. 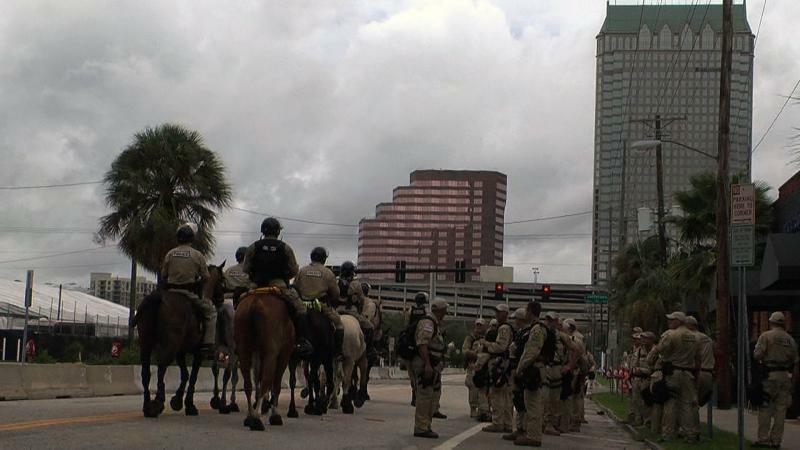 Watch: Is Downtown Tampa a Police State? "It's not a police state," says Tampa Police Chief Jane Castor, adding that the officers on hand during Monday's March on the RNC were there for the protection of the protesters. Armed National Guard troops peek from behind a labyrinth of barriers covering the city blocks around the convention site. Police officers on bikes, horses, motorcycles and foot roam the empty city streets. Take a look at downtown for yourself and see what Castor and protesters have to say below. It's the closest these Floridians will ever get to an actual snow day. The threat of Isaac canceled most official business at the Republican National Convention Monday. But the storm went west, sending a little wind and rain to Tampa. The typical summer afternoon thunderstorm is worse. So members of Florida's delegation were free to engage in a political snowball fight — they ate, partied and trashed a political traitor: former Republican Gov. Charlie Crist. 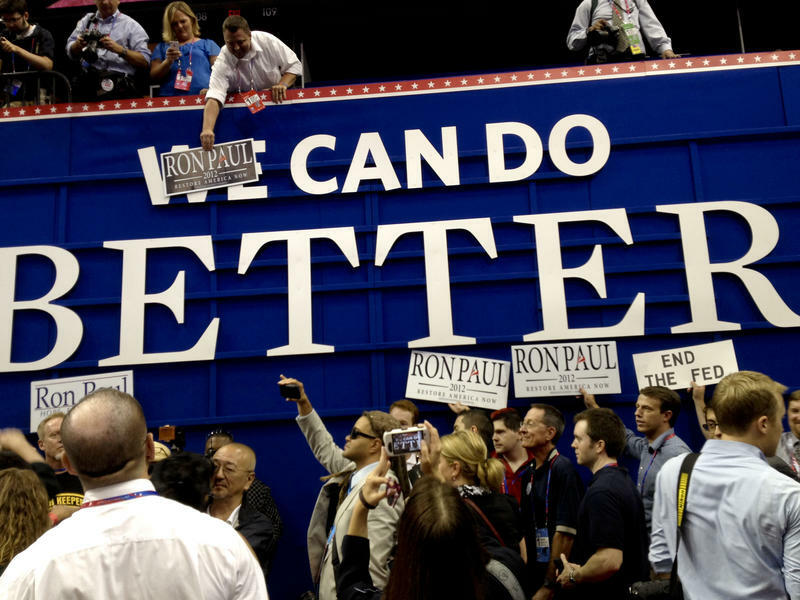 Ron Paul's Faithful Continue To Make Noise; Floor Fight Tuesday? Oh, Isaac. How good you've been to the Ron Paul Revolution! With 24 hours of nothing officially happening at the GOP convention in Tampa because of Tropical Storm Isaac, Ron Paul supporters for the second time in as many days made themselves the center of attention at Mitt Romney's big nomination party. With a bang of his supersized gavel, Republican National Committee Chairman Reince Priebus just opened the 2012 GOP convention. And moments later with another bang of the gavel he declared it in recess. As we've reported, tropical storm Isaac convinced Republicans to delay the real start of their convention until Tuesday. Organizers had predicted a turnout of thousands at a rally in a Tampa park Monday morning to protest Republican policies. They ended up getting a better showing, as least early on, from the members of the media desperate to cover something — anything — on what was to have been the opening day of the Republican National Convention. 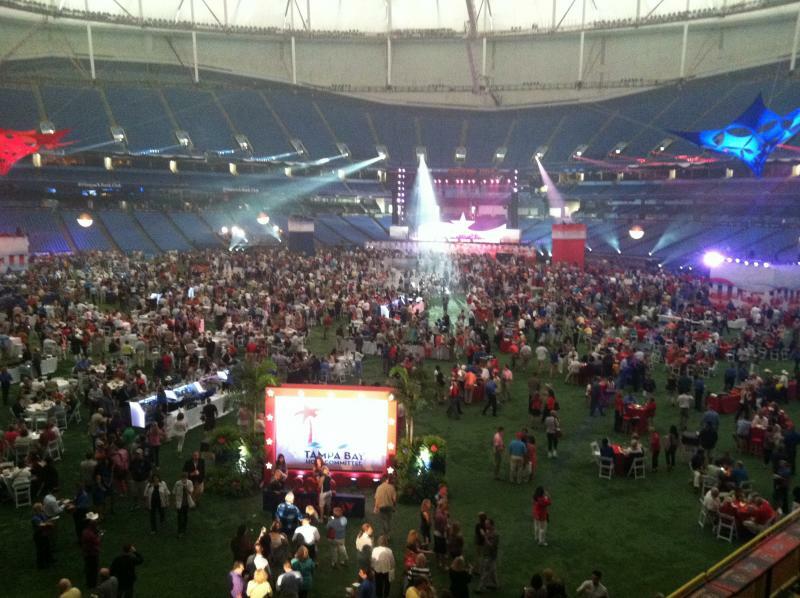 Delegates and reporters partied inside Tropicana Field Sunday night, officially kicking off the Republican National Convention. Outside, protesters gathered to march in opposition. Police worked with the protesters to keep them on the designated parade route, which led through abandoned streets to a chain link fence outside the baseball field's parking lot. 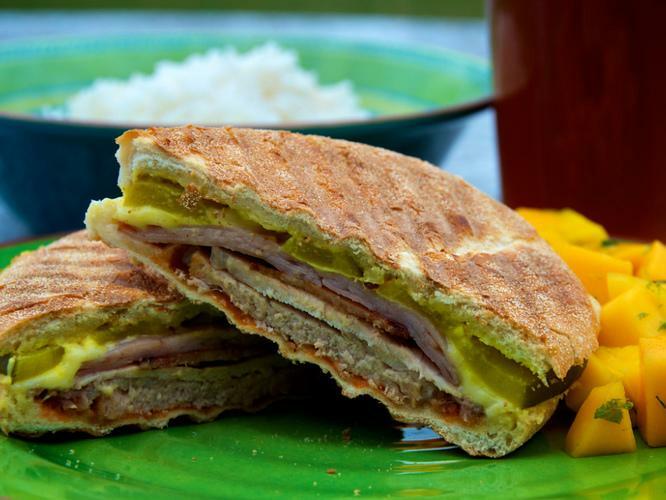 The threat of Tropical Storm Isaac loomed, and it wasn't long until the protesters fled from the impending weather. See the protest and march below. The first day of the Republican National Convention might have been canceled, but that didn't stop a march by a coalition of about a dozen protest groups. The wet weather put a damper on their numbers, but apparently not their spirit. Tropical Storm Isaac may be making headlines after delaying the start of the RNC -- but the media blitz in Tampa shows no sign of stopping. Why pick a state in Hurricane Alley in peak hurricane season for an all-important nominating convention where visuals are everything? When Marco Rubio introduces Mitt Romney on Thursday, the Florida senator will see his rising star climb even higher into the national and international spotlight. 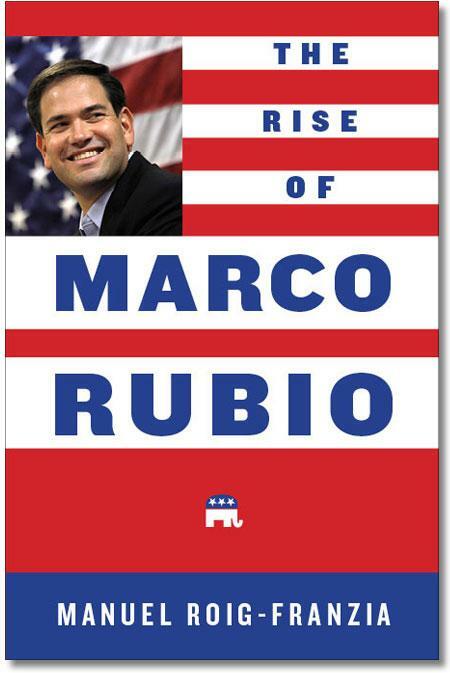 Washington Post reporter Manuel Roig-Franzia explores Rubio's ascent in a new book titled... wait for it... The Rise of Marco Rubio. 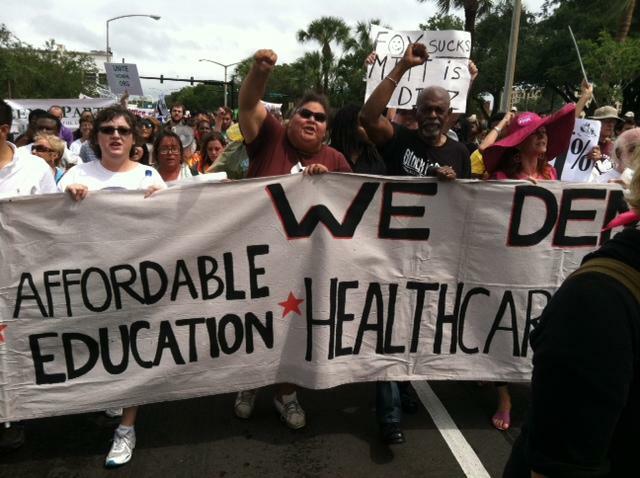 Wind and rain didn't keep an estimated 500 people from protesting Monday afternoon in downtown Tampa. The group, known as the Coalition to March on the RNC, gathered at Perry Harvey Sr. Park on Orange Street. At times, it looked like there were as many journalists as protesters at the event, where police on bicycles worked to keep potential anarchists in the protest zone. This five-day forecast says it all. 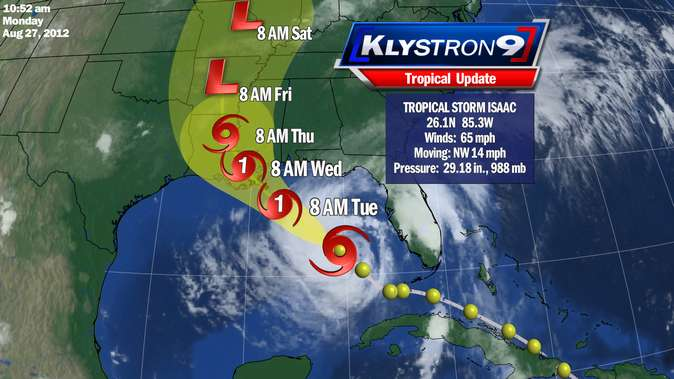 Isaac's track has shifted toward New Orleans and away from Florida. Florida is no longer under a tropical storm warning. In fact, Tampa received little rain and only some gusty winds from Isaac. Tampa has a history of being under the gun with early hurricane forecasts, and then dodging the bullet. Hurricane Charlie led to evacuations in Tampa Bay, but a last-minute course change led it to hit Port Charlotte instead. 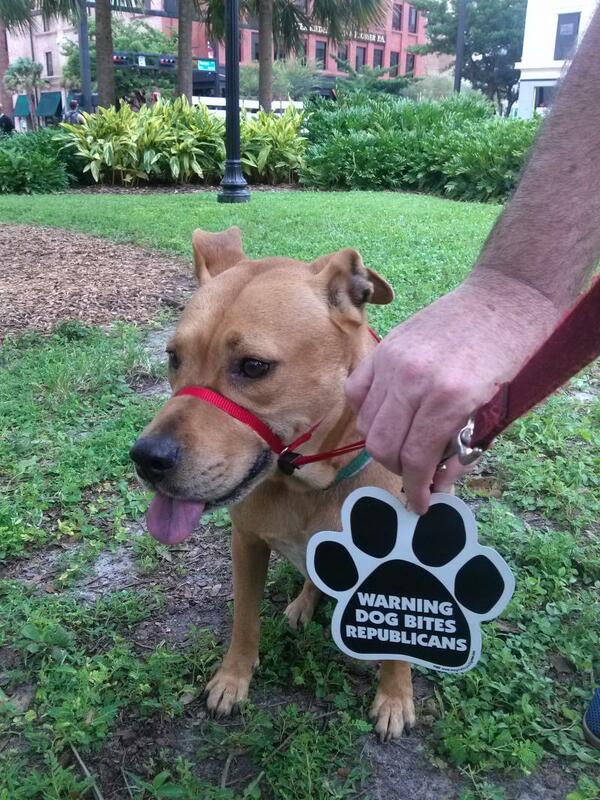 Florida Republican's are having a grand time turning out one-liners mocking former Gov. Charlie Crist's endorsement of President Obama and upcoming speaking role at next week's Democratic National Convention. 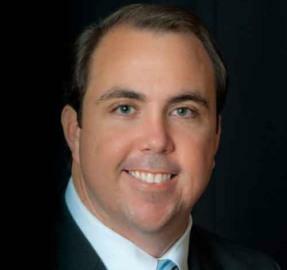 Incoming House Speaker Will Weatherford, a Wesley Chapel Republican, used topical -- and tropical -- humor to jab Crist. "Speaking of winds blowing and people shifting position," Weatherford said at a Florida delegate breakfast, referring to both Tropical Storm Isaac and Crist. Then Weatherford referred to Crist's oft-cited hug of President Obama. Florida may have dodged Isaac, but that doesn't mean the Tampa Bay area is out of the woods. Emergency officials earlier this morning canceled the tropical storm warning that has dogged much of Florida for days. Former Gov. 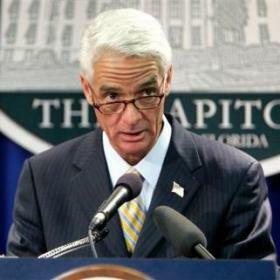 Charlie Crist will speak at the Democratic National Convention next week in Charlotte, according to ABC Action News. A day has yet to be set. 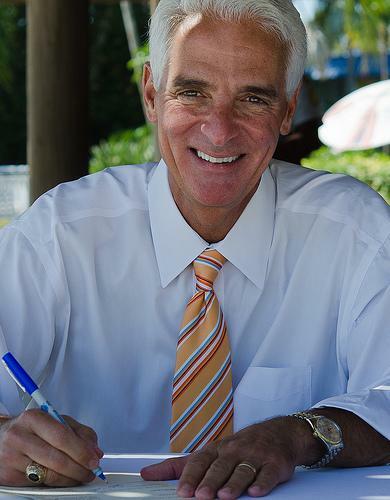 The news follows Crist's announcement Sunday that he is endorsing President Barack Obama for reelection. While the real Sarah Palin wasn't invited to speak at the Republican National Convention, someone who looks like her is speaking out in Tampa. Adult entertainer, Lisa Ann, who starred in the 2008 film satirizing former republican vice presidential candidate Sarah Palin, performed at Thee Dollhouse in Tampa. During a press conference held at the club she discussed Palin, politics, and business with a room full of reporters. From "Dogs Against Romney" to a giant melting ice sculpture meant to represent the middle class, Sunday was a busy day in downtown Tampa. He isn't speaking at the Republican National Convention, but Gov. Rick Scott will talk to delegates this morning about Isaac. 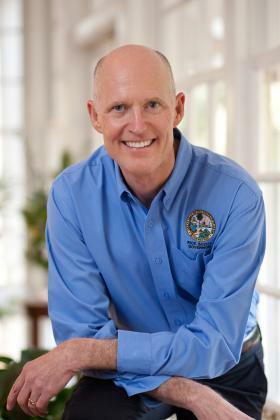 Scott plans to address delegates at Innisbrook Resort and Spa in Palm Harbor at 8:30 a.m., updating them on a tropical storm that won't pack quite the punch originally expected. Delegates were treated to a giant party - and protesters tried to rain on their political parade - as the first activities began Sunday at the Republican National Convention. U.S. Rep. Ron Paul wrapped up his third presidential bid at a rally Sunday. Thousands filled the Sun Dome on the University of South Florida campus to listen to Paul speak for more than hour. Paul told the faithful not to give up even though Republicans have tried to shut him out. "We'll get into the tent, believe me," Paul said of joining the GOP 'big tent' philosophy, "because we'll become the tent. "So this to me is exciting with the energy that we have," he said. "It seems to me that they would be begging and pleading for us to come into the party."